Ensure that post discharge, your loved one gets the best home health care that is personalized to their individual needs and competently delivered in the comfort of your home. Infused with empathy, professionalism and respect, our multi disciplinary team of qualified doctors, nurses, and physiotherapists provide excellent senior care in the comfort of your homes to help loved ones age gracefully. 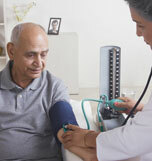 Managing chronic diseases requires medical assistance coupled with an understanding of the patient’s condition. 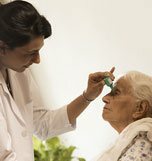 We work closely with the patients to administer comprehensive care plans that cater to their unique needs. Equipped with the best of credentials, specialized training and equipment – our physiotherapists will customize therapy sessions to give patients relief from pain at the comfort and convenience of their homes. With our skilled nursing team at your disposal, you can now get nursing care at home for a range of health care needs, including procedures at your convenience. Patients needing multi-specialty care, can now have qualified, registered doctors provide the required medical expertise at home, with One Life. Correct diagnosis and timely detection are significant aspects of disease management with easy access to pharmacy and diagnostic services. High Quality intensive care services provided for those who need constant monitoring but cannot be treated in a hospital set up. Are you a medical health professional? See how One Life can benefit your patients. Healing happens faster at the comfort of home when the patient is able to stay close to loved ones in familiar surroundings. With home healthcare, the family is more involved without the pressure of directly being responsible for administering the care required. Our healthcare professionals and caregivers consistently involve the family at every step and take them through the post care plans and answer any questions they might have. 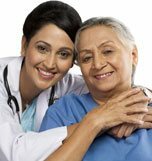 Home healthcare comes with a high level of individual attention for the patient – our caregivers pay special attention to the patient and are able to monitor and instantly attend to any issues and identify any symptoms that might lead to complications. The most important advantage of being treated at home is that there is a lower chance of the patient contracting any infection as the home environment has less risk of cross infection than hospitals. Not even the best of facilities can come close to home – by opting for home healthcare you are giving your loved one the choice of staying in a comfortable and familiar environment. This helps boost their morale and recover faster than they would in a hospital. With high room rates and other expenses, nowadays hospital stays work out to be expensive, and not to mention the frequent travelling and visiting the clinic. 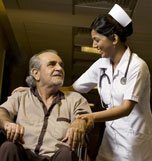 With home healthcare you are providing excellent medical care for your loved one in an affordable manner. With lower infection rates, better individual care and improved morale – home healthcare helps your loved one recover faster and cuts down frequency of re-hospitalizations by reducing the need for it. Saraswathi, a spirited octagenenarian faced a major setback when she was diagnosed with a left femur neck fracture. Having endured a similar fracture in the past, Saraswathi was completely devasted this time around and had little hope to return to normal functioning. However, our clinical team did not let her give up hope. The multi-talented Rajeev Shukla was rendered completely dependent on his wife for all his daily activities, when he suffered a vascular stroke. His communication abilities were limited to nothing but a mere movement of eyes. Needless to say this setback, demotivated him and depleted all his enthusiasm, leaving him tired and frustrated. That’s when our team stepped in, helping his wife understand how to care for him. Anita, a spirited and fun loving mother always made her kids feel like she was one among them. But her exuberant spirits sagged and life came to a standstill when she was diagnosed with Colorectal Cancer. It was during this crucial phase of recovery that One Life stepped in. Our multifunctional team of dedicated doctors, nurses and therapists not only helped Anita stay positive but soon became her best friends. Wedding bells were ringing in the family and Bommiammal was thrilled. Unfortunately, she had a fall and fractured her femur. Bommiammal, who had a history of high blood pressure and diabetes for almost 10 years, had to undergo hemiarthroplasty. 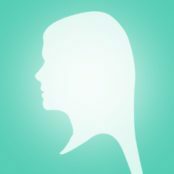 This meant that her normal functioning was completely disrupted and she needed help for even the smallest of daily activities. With great care and patient services day in and out, our nurses helped her regain her energy and thereby helped restore her lost charm. After 24 days of nursing, Bommiammal and Team One Life were happy companions. Looking for home health care for yourself or for your loved ones? Click on a specific part of the human anatomy to know more about the care that One Life provides. To ensure speedy and healthy recovery, carefully designed post-surgical plans are essential. 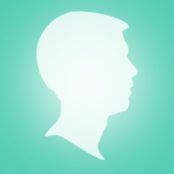 OneLife’s post-surgical care plans are designed keeping the needs and conditions that are unique to each patient. OneLife offers a range of physiotherapy services that include spine therapy, joint mobility, neuro rehabilitation and post-natal exercise. OneLife offers personalized services with customized treatment plans designed according to the medical needs of the patient for safe and effective post-stroke care. Reliable care and treatment plans are critical in the face of a cardiac episode. 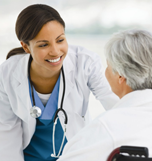 OneLife’s expert team is trained to provide care that will ensure speedy and healthy recovery. The post-discharge period is very critical for patients who have undergone a liver transplant. OneLife’s care plans are designed to ensure the quicker recovery and improving the quality of life of the patient. OneLife offers a range of services that include specalized care for those who have undergone surgeries in the knee and hip joints. Tracheostomy care requires professional intervention and a well-designed treatment plan. One Life’s special tracheostomy care is designed keeping this in mind. Founded by N Ramachandaran, former promoter of India Cements and T R Narayanaswamy, Executive director of Tattva Group, One Life is India’s first specialty home healthcare company and is aimed to be an innovative and world-class healthcare delivery platform across India.